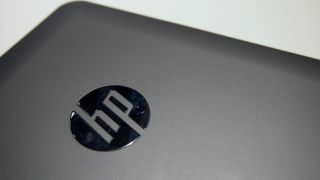 Christmas is coming and dollar signs are spinning into HP execs eyes as the company unveils its new tablet line-up. First up is the HP Slate 7 Plus, a souped-up version of the existing Android-flavoured Slate 7. It comes with a new silver chassis, Nvidia chipset and a 7-inch HD screen. The HP Slate 7 Extreme is a rebadged Nvidia Tegra Note, the stylus-toting tablet announced yesterday by the chipmaker. The HP Slate 8 Pro is a higher-spec edition, with a bigger 8-inch display and Nvidia Tegra 4 processor. Next up is the HP Slate 7 HD and Slate 10 HD which offer Beats Audio, HD displays and dual-cameras. Bringing up the rear is the HP Omni 10, a Windows 8.1 devices that runs an Intel Atom Z3000 processor and features Windows 8.1, 9 hours of battery life and comes with a price tag of £349 in the UK (around $560). If you're excited by any of these options, you can pick them all up from November 2013. The HP Slate 7 Plus and Slate 8 Pro are yet to be priced up, but the HP Slate 7 HD can be yours for £169 ($270) , while the HP Slate 10 HD UK pricing is set at £249 (about $400). The HP Slate 7 Extreme should go on sale for around $199 / £179 when it launches in October.